Never change a ballast without the lamp! HID lighting fixtures are reliable and long lasting; however, these fixtures are generally not easily accessible, meaning they are difficult and expensive to service. 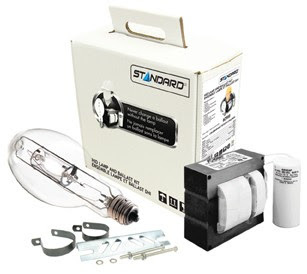 Standard "LBK" Lamp & Ballast Kits are locally stocked to support your Service Requirements.